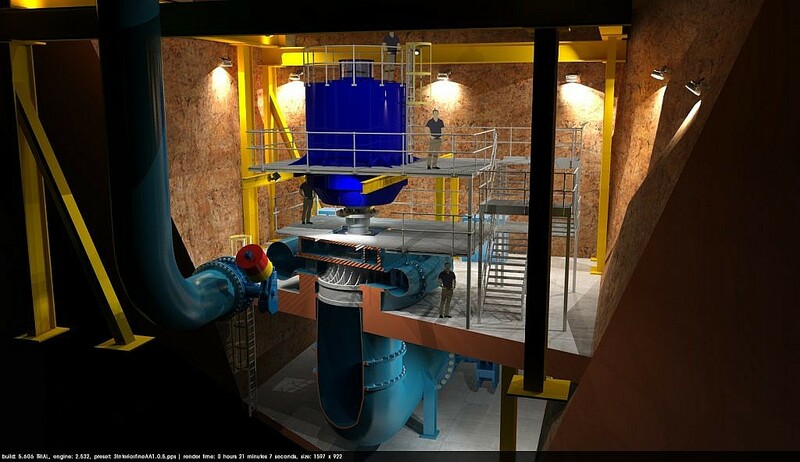 A pumped storage power generation system utilises a body of water pumped to a height and released when required through hydro-electric turbines to generate a large amount of electrical energy over a short period to act as a buffer to assist the power grid with peaks. Traditionally schemes like this have utilised multi-level bodies of water such as lakes and reservoirs to provide their energy source. GPJ Consulting Engineers are actively researching and developing schemes which utilises redundant deep shaft mines to provide the high and low level storage. This minimises surface disruption. By installing turbines into the mine shaft within a machine hall we can utilize the upper mine galleries or surface lake. 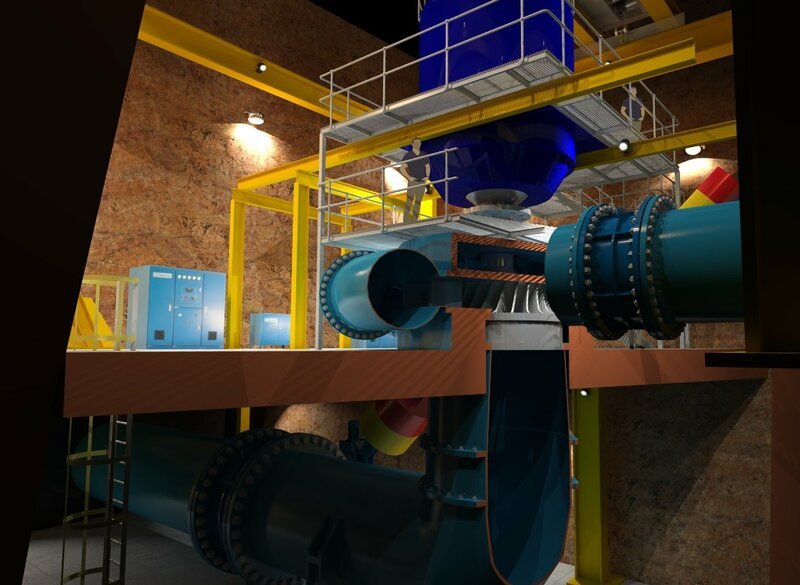 Water can be released when required down the shaft, through the turbines and into the lower galleries of the mine. During off peak periods the lower stored water can be pumped back to the upper galleries or lake and stored for future use.